It’s difficult to find anyone who will paint the world economic picture with a rosy lining these days. At the APEC Summit last week, world leaders summarized that we’re in for at least 18 months of pain. That of course doesn’t mean things will simply go back to the way they were before this all happened, things never do. In this case, that’s a good thing! The big news last week is that the big three U.S. automakers are crying the blues and want more money to stabilize their flawed business plans. 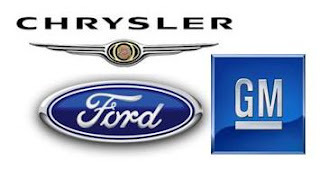 GM, Ford and Chrysler are “working together” on a solution. Three companies that have competed for consumer dollars for decades are now at the same table looking for solutions or bailouts or both. In all my years in the music industry, it was a delicate dance between broadcasters, music companies, clients and retailers. We all had the same goal – to improve our profit margin and grow our audience or customer base - but each had a different way to get there. What makes it more interesting is all factions are related and need each other to a certain degree to attain those goals. No one is a blameless victim here. There were mistakes made while greed ruled the day. But the solution is not more blame and finger pointing, it is time to work together. Perhaps if you are worrying about issues with your company, the answers lie in working as a team with your suppliers and colleagues on solutions for both? That is the core of co-creation and integration.